[[Southwest Airlines | Southwest]] is officially moving in on [[Northwest Airlines | Northwest]]’s home turf—[[Minneapolis-St. Paul International Airport – MSP | Minneapolis]]—a decision that could drive down fares at this major Midwestern hub. On November 6, Southwest announced that beginning March 8 the airline will launch eight daily nonstop flights from Minneapolis to [[Chicago Midway – MDW | Chicago Midway]]. Tickets will start at $69 each way when booked 21 or more days in advance. Chicago is only the beginning, however. In a press release, the airline said that from Minneapolis it “will offer direct or connecting service to more than 30 destinations, including: [[Las Vegas McCarran Airport – LAS | Las Vegas]], [[Denver International Airport – DEN | Denver]], [[Los Angeles International Airport – LAX | Los Angeles]], [[Houston William P Hobby Airport – HOU | Houston]], and [[Baltimore-Washington International Airport – BWI | Baltimore/Washington]] just to name a few.” According to Rick Seaney, CEO of Farecompare, Southwest actually published new fares for service between Minneapolis and 56 cities for travel beginning March 8. We’ll be sure to keep you posted on any important new developments or fare wars coming out of Minneapolis. 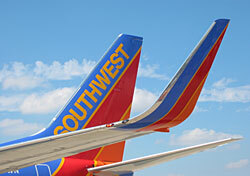 In the meantime, tell us what you think of Southwest’s move, especially if you live in the Minneapolis area or are a regular Northwest flyer. Post your comments below.